The P8-V series of vandal resistant pushbuttons from OTTO are single pole switches with single or double throw operation and momentary action. Available in aluminium casing for security or stainless steel for vandal resistant with options for cut outs of 16mm and 19.1mm the P8-V has a shorted back of panel construction while offering the same features as the P1 and P3 series. The P8-V series of vandal resistant pushbuttons from OTTO are single pole switches with single or double throw operation and momentary action. Available in aluminium casing for security or stainless steel for vandal resistant with options for cut outs of 16mm and 19.1mm the P8-V has a shorted back of panel construction while offering the same features as the P1 and P3 series. Electrically rated to 10A (Resistive) at 28VDC/115VAC, a mechanical life of 1,000,000 cycles and an IP rating of IP69K. 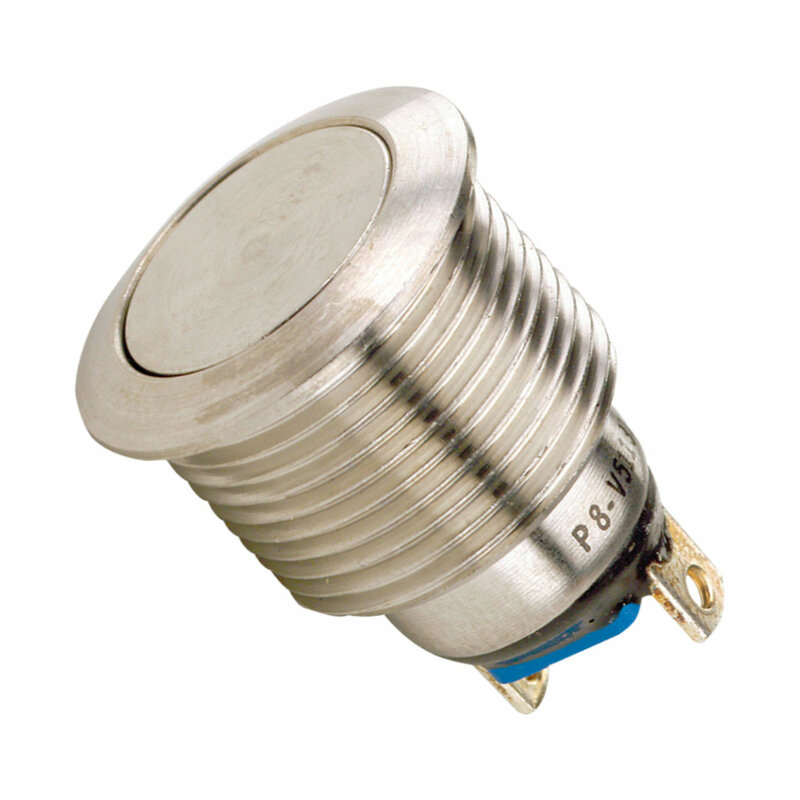 The P8-V series is a durable and robust switch with positive tactile feedback for use in the most extreme conditions. This makes the P8-V Series ideal for applications both in military and industrial environments such as Door Access security, Public Transit Systems, Emergency Phones, Traffic Signals and Industrial Control Systems.